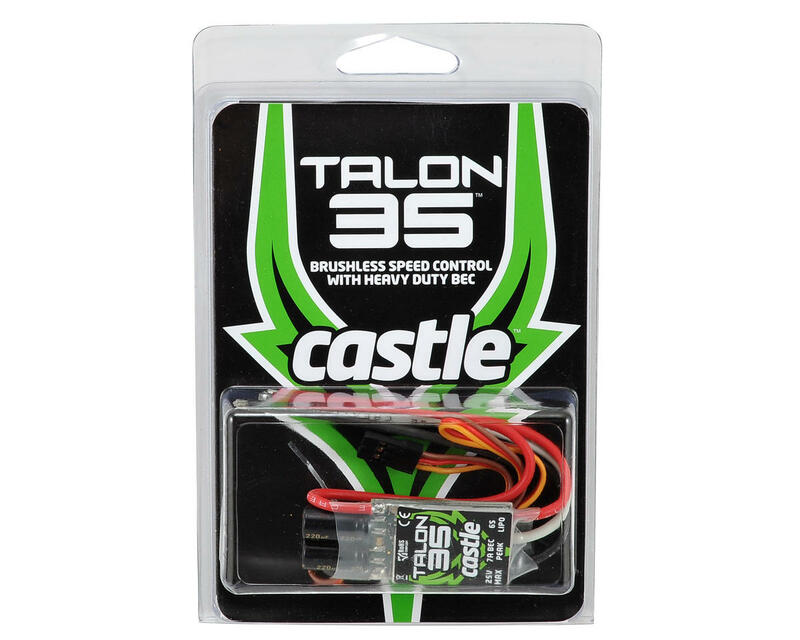 This is the Castle Creations Talon 35 Brushless ESC. Castle's "mighty mini" can handle the most extreme maneuvers, yet remains cool during demanding conditions. Talon 35 is intended for use in 450 Heli setups running up to 6S, as well as .10 to .20 fixed wing applications pulling up to 35 amps. The Talon 35 and boasts a 7 amp peak/5 amp continuous BEC, keeping even the most draining servos at ease. Talon 35 also offers Castle’s industry-leading helicopter functions, not to mention easy programming using the Castle Link USB adapter (coupon included). The compact layout and thin profile make mounting Talon 35 simple and stress-free in any setup. 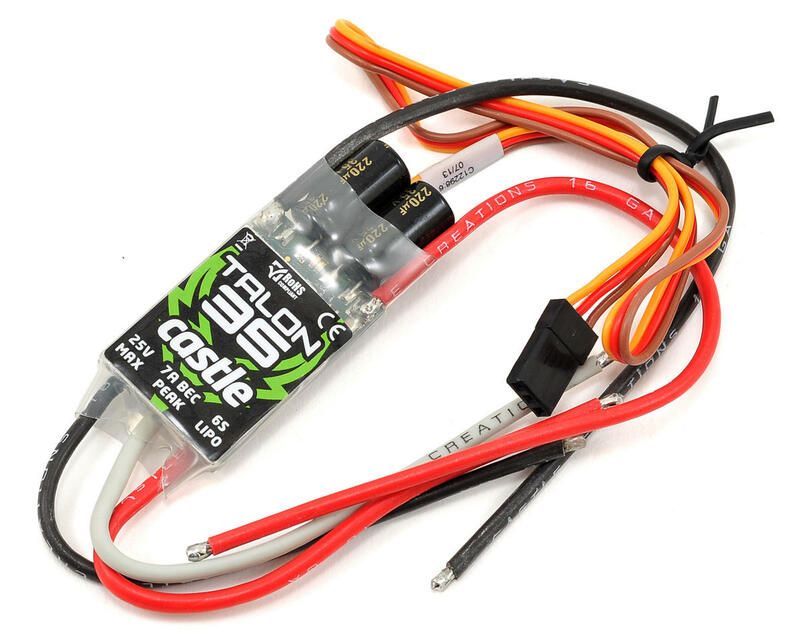 *RC HOBBY APPLICATION RATING: 35 amps for the duration of a single 4,000 mAh battery pack with the ESC in contact with a 5 mph airflow of 25C (77F) or cooler air. Controller temperature must never exceed 100C (212F). Exceeding current or temperature ratings may damage components and may shorten the life of the ESC. Always verify system current draw at full-throttle. Decrease load or increase airflow to decrease the ESC’s operating temperature. **Peak indicates amperage sustainable for most servos’ current draw transients. Always confirm servo current draw before the first flight of the model.